SPORTS SIGN-UP BONUS - Those that enjoy sports betting can get a 50% SPORTS WELCOME BONUS up to $1,000 with a MINIMUM DEPOSIT of $100! T&C Applys! CASINO SIGN-UP BONUS - New players that make a MINIMUM DEPOSIT of $100 can get a 150% WELCOME BONUS of up to $750! Wager requirements and T&C Applys! RISK-FREE SPORTS BET - Open an account and make a deposit, if your first real money wager isn't a winner, they will REFUND up to $20! T&C Applys! FREE SPIN WEDNESDAYS - Player can get a 50 FREE SPINS as long as they make a minimum deposit of $45 every Wednesday during the day. T&C Applys! Why settle for playing at a bitcoin casino or a bitcoin sportsbook when you can play with both? As well as that, Mybookie has also thrown mobile and live dealer gameplay into the mix, so there is something for everyone there. The unique promotional setup means that you won’t get lumbered with unfair wagering requirements when playing at this stellar site, either. Players love all-in-one gaming sites, and that is exactly what you will find with Mybookie. A bitcoin specialist gambling site, they can offer players the freshest sports bets, live casino gaming and traditional slot action from some of the leading software providers. Mybookie is an online sportsbook specialise in the US market, however, it also shows a great interest in the Australian market as well. Launched not long ago in August of 2014, players from all countries are permitted to play at Mybookie, although there is an emphasis on American and Australian players (The sidebar towards your right will show you all the restricted countries.) Mybookie holds a license with the government of Curacao, and the same is true of almost all major bitcoin betting sites. The casino and sportsbook have a good track history with paying players (payout percentages are at a high 96%). As for the Mybookie Casino account, there’s a lot for you to experience. Slots, table games, scratch cards, roulette, video poker and other games are available through casino software providers that specialise in the bitcoin betting market, such as Betsoft Gaming, Visionary iGaming (VIG), Nucleus, Concept Gaming, and Rival Gaming software which is coming soon. 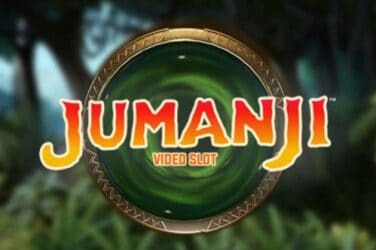 Some of the snazzier slots you will find at Mybookies’s casino site include 2 Million B.C., 4 Seasons, Arrival, Boomanji, Fa-Fa Twins, Fruit Zen, Mamma Mia, The Slotfather 2, and Whospunit. If you fancy something a little more realistic, there are always live dealer games and most of the games are mobile compatible which is the next subject I would like to explain how it works. As mentioned, players will note that the casino games found at this site have also been designed in a manner which makes them mobile friendly. Mybookie has been designed to make itself as appealing to the modern sportsbook and casino player as possible, and part of that means that it’s able to offer mobile sports bets and casino games on the go. No app is required to play there since players can quickly get in on the action via the browser on their iOS or Android-powered smartphone. This is especially true of their casino and live casino games. Speaking of live casino games, Visionary iGaming is providing Mybookie casino with all of their live gaming solutions. ViG is regarded as one of the leading developers of live dealer games, so you’re able to play the best titles on the net at this casino. Those thrilling and realistic games are streamed live from Riga (amongst other places) and include Live Baccarat, Roulette, and Blackjack, along with its variations. Mybookie’s sportsbook features the Digital Gaming Solution (DGS) software, which allows them to offer an excellent gaming experience and design than you might ordinarily be used to seeing. The sportsbook covers most major sports, including Football (Soccer), Tennis, Aussie Rules, Basketball, Rugby Union, Rugby League, American Football, Cricket, Ice Hockey and e-Sports. Live sports betting is made possible at Mybookie’s sportsbook, although they do not currently have any early cash-out options available, nor do they offer live streaming of ongoing sporting events. The same is true of other major bitcoin sportsbooks, though. Mybookie offers a wide variety of bonuses and promotions on casino games, horse or sports betting. Starting with their $20 Risk-Free Sports Bet which means if your first wager isn’t a winner, they’ll refund you up to $20. New players can also get a 50% SPORTS WELCOME BONUS up to $1,000 on the first deposit. A minimum deposit of $100 is required to qualify for this sports bonus and any deposits that are less than $100 will receive a 25% Sports Bonus up to $1000 There are wager requirements that must be met and can be found in the Terms & Conditions. If you choose to bet on horse races, you will get an 8% Rebate bonuses on qualified tracks. There are rollover requirements so please read the terms and conditions. When a new player signs up at their online casino, they will definitely find a handsome reward. Mybookie casino offers a 150% WELCOME BONUS up to $750. The minimum deposit is $100 or else player won’t qualify for the sign-up bonus. Also, make sure to use bonus code MB150 and please make sure that you read the terms and condition as there are wager requirements. Of course, like almost all bitcoin casinos and sportsbooks, Mybookie is licensed with Curacao. However, although I am not a fan of that license, you can rest assure that Mybookie is a safe bet with a safe and secure encryption, which protects all of the player details that register and play at this site. Only cryptocurrencies are accepted in terms of deposit and withdrawal options. These cryptocurrencies include Bitcoins and Litecoins. There are no limits on how much you can withdraw from your account, and in most cases, withdrawals are processed in under 12 hours’ time. As for currencies when betting, US Dollars is the only currency available at this time. The email support experience I had with MyBookies was very good. They replied to all my question quickly and with unbiased answers, another word, they are honest. They offer there support during business hour, which is from 9 AM to 6 PM. You can reach them via by an email form & toll-free telephone number. They even have a toll-free number to place wagers. All this information can be found in there contact page.